We are very pleased to announce an affiliated society meeting at this year's SPEP, in Pittsburgh, Pennsylvania. The session will take place from 9:00 a.m. to 12:00 p.m. on Thursday, October 16th, in the Marquis C room at the Pittsburgh Marriott. Our program will begin with a discussion of recent dissertations in the field of hermeneutics. If you have recently completed, or are nearing completion of, a dissertation in hermeneutics, please let us know so that you can be included in the panel. 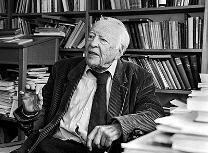 Then, starting at 10:00 a.m., we will present a session on Gadamer and Brandom, featuring papers by Cristina Lafont (Northwestern University) and Lauren Barthold (Gordon College). If you will be attending SPEP this year, or if you live in the area, please plan to attend this session and participate in the discussion. In addition, we hope to convene an informal lunchtime meeting at SPEP of graduate students currently working in the field of hermeneutics for purposes of networking and information sharing. Please let us know if you would like to participate in this discussion, and watch this space for further details. Here is a link to the complete SPEP program.